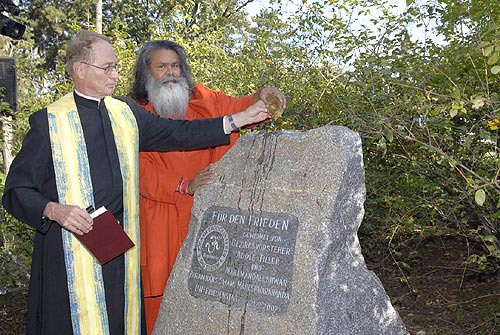 On September 21, 2007, the United Nations International Day of Peace, His Holiness Paramhans Swami Maheshwaranandaji planted a World Peace Tree and inaugurated a Peace Memorial Stone in a beautiful park in Vienna, Austria. Several dignities from politics and religion attended this function, among them Mr. Adolf Tiller (District Director), Dr. Bimal Kundu (head of the Indian Community in Vienna), Pater Elmar (Catholic parish priest) and Mrs. Windsteig (Vienna City Government). His Holiness Swamiji started His four-day visit to Croatia with meeting Croatian President Stjepan Mesic in his office on Thursday, April 19. President Mesic accepted Swamiji's invitation to participate in the 6th World Peace Summit organised in Slovakia by the ”Sri Swami Madhavananda World Peace Council“. In light of discussions about activities in the sphere of world peace and multiculturalism, the 100th anniversary of the Satya Graha movement of Mahatma Gandhi was especially focused on during the meeting between the President and Peace Ambassador. 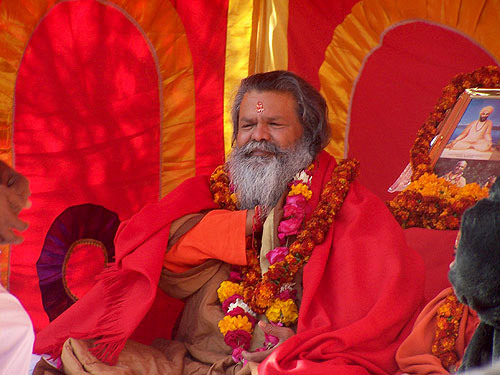 The Croatian President asked about progress of the school in Jadan and construction of the Om Ashram and has promised to pay a return visit to Jadan Ashram during his next stay in India, in 2009. 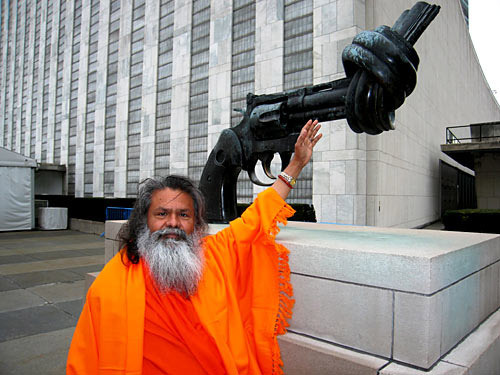 His Holiness Paramhans Swami Maheshwarananda was invited by the United Nations in New York City to present His message of Spiritual Awakening for World Peace. On the evening of April 25th together with Mr. Ramu Damodaran, Chief, Civil Society Services, UN Department of Public Information, Bawa Jain, Secretary General, World Council of Religious Leaders of The Millennium World Peace Summit and Tsu-Wei Chang, Chief, Coordination, Division for the Advancement of Women, Department of Economic and Social Affairs, Swamiji gave a talk and meditation at the UN headquarters.